case-mate and Pong have announced a new partnership to manufacture and market their innovative "Bounce" suite of smartphone cases. The Bounce cases employ Pong's patented technology that redirects radiation away from consumers' heads. The devices are proven in laboratories certified by the Federal Communication Commission (FCC) to redirect away from the user at least 60% of "normal" cell phone radiation and 85% of "hot spot" radiation while maintaining full signal strength. + Innovative: Bounce cases feature a sleek design coupled with ground-breaking radiation-reducing technology. + Trustworthy: The devices are proven in FCC certified laboratories. + Effective: A paper-thin internal circuit board deflects away from the user at least 60% of constant radiation and re-directs 85% or more of "hot spot" radiation. + Durable: The slim, flexible case is impact resistant, so the phone is protected from potential scratches and scrapes. Bounce cases will be available in a variety of colors and will launch in early Q4 for $49.99, including a free screen protection kit. To purchase, please visit http://www.case-mate.com/. 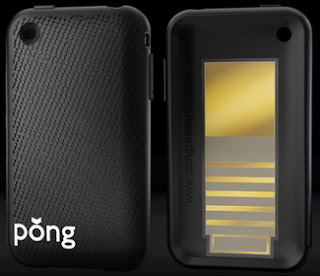 0 comments on "case-mate and Pong team up to release radiation-reducing cell phone cases"